SPOILERS ahead for those who haven't seen "Call To Action". 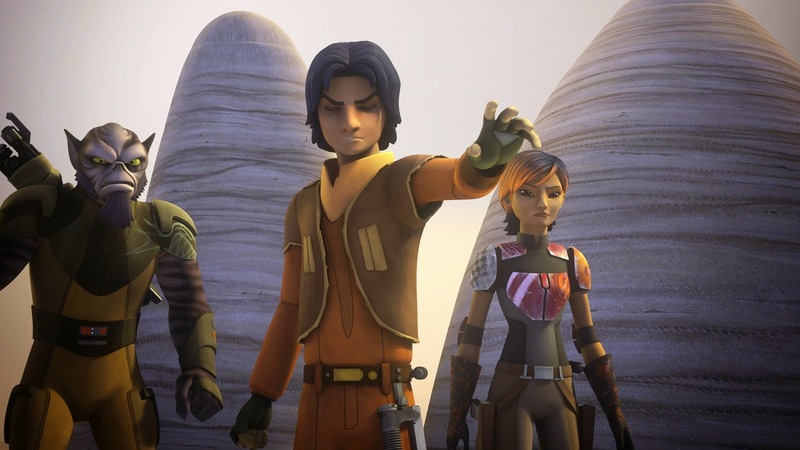 "Despite a secret informant who insists the rebels go into hiding, Ezra secretly plots to rescue Kanan from the Imperials in an all-new Star Wars Rebels episode “Rebel Resolve!” With Kanan being held by Grand Moff Tarkin and the Inquisitor, Ezra resolves to rescue his Jedi teacher in direct defiance of Hera’s orders. 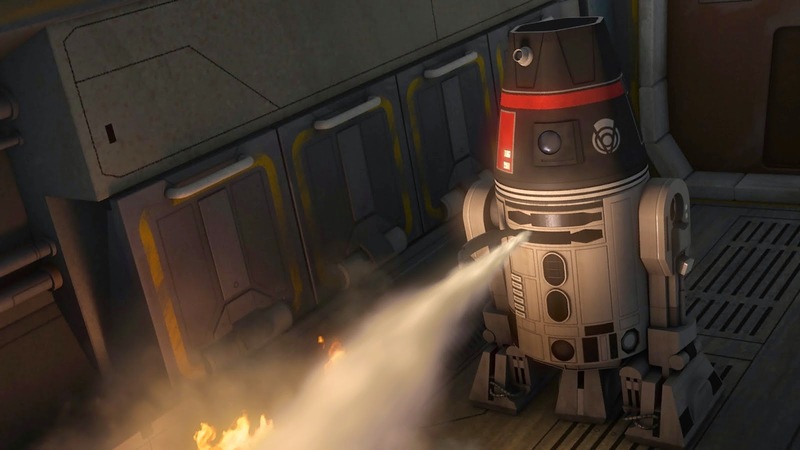 Using Chopper disguised as an Imperial courier droid, the rebels infiltrate the Imperial communications network to find out where Kanan is being held – and the infernal planet he’s being taken to." 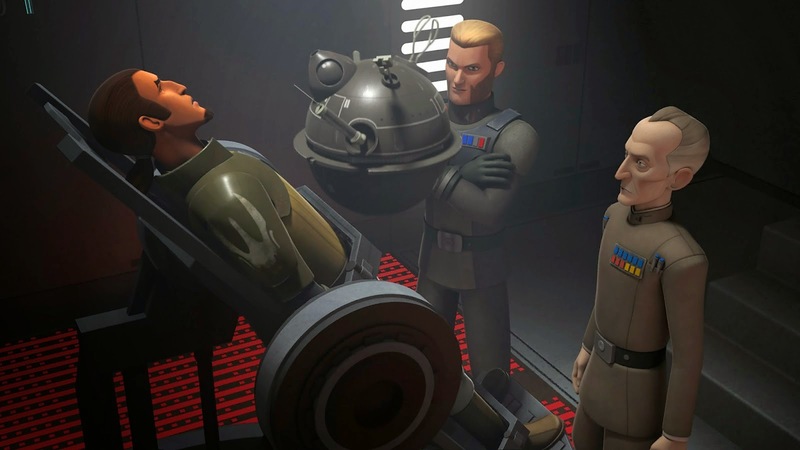 Also, our friends at The Bearded Trio got their hands on a collections of stills from the episode, including what could be our first glimpse of the mysterious "Fulcrum", which you can see below. 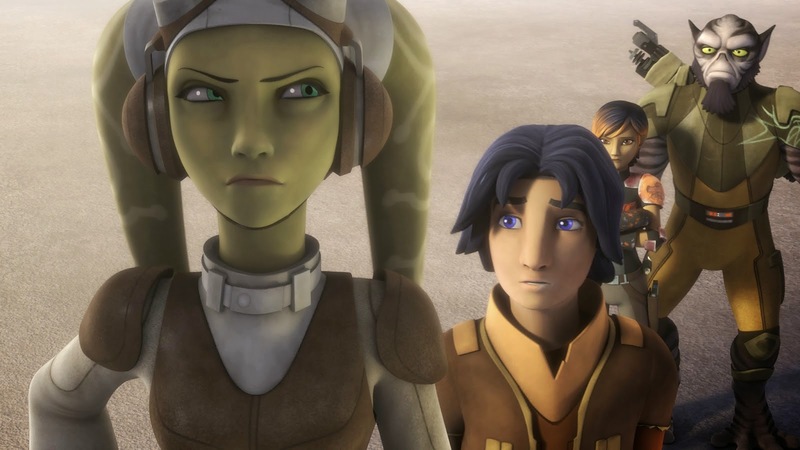 They also confirmed that Rebel Resolve is the first episode in the two-part season one finale. The following episode is titled Fire Across The Galaxy. 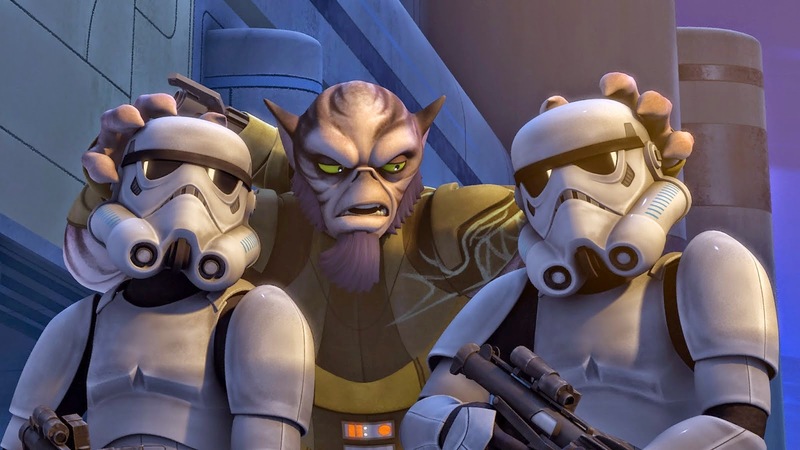 "Rebel Resolve" airs on Disney XD on February 23rd at 9:00 p.m. ET/PT and will also be available to Disney XD subscribers a week early on February 16th on Watch Disney XD. My guess it's Barriss Offee. Just a guess. 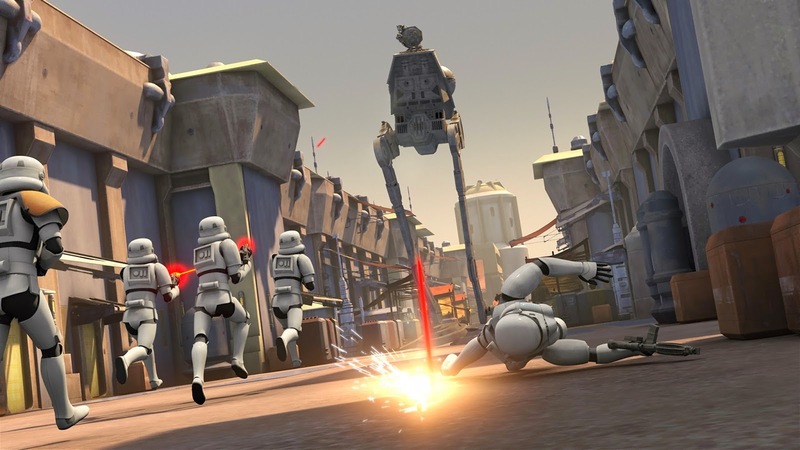 Has already been proved last week that Fulcrum is Ahsoka. 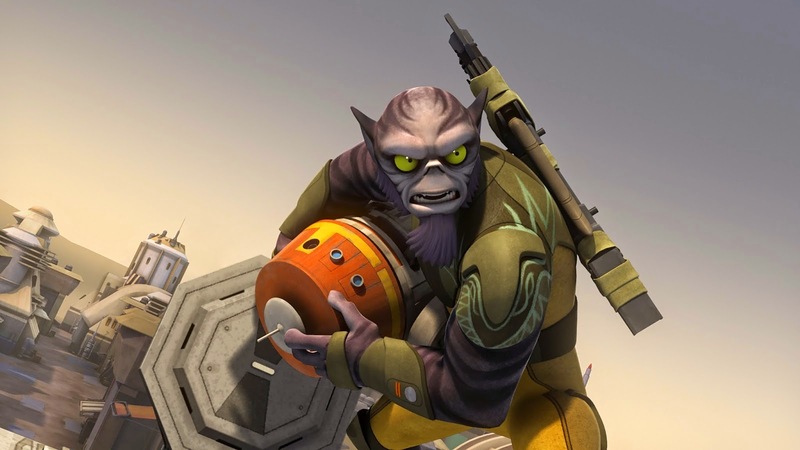 An actress in France was hired as Ahsoka's french dub voice actor on Rebels. This was posted last week. Grant, That device on the desk is not a lightsaber, but some sort of tool. If you look closely at the desk, in particular the front of the desk, you can see two more similar tools. 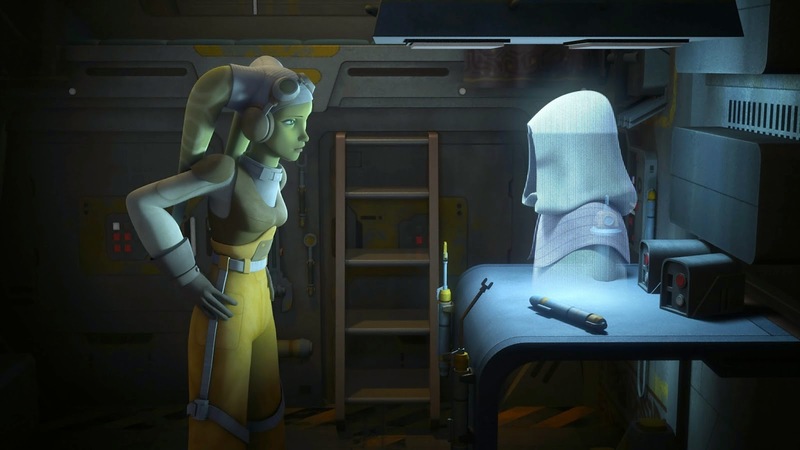 Also if that were Ashoka's lightsaber, why wouldn't it be with her? You're right, but I doubt her lightsabers would be on the Ghost lol. 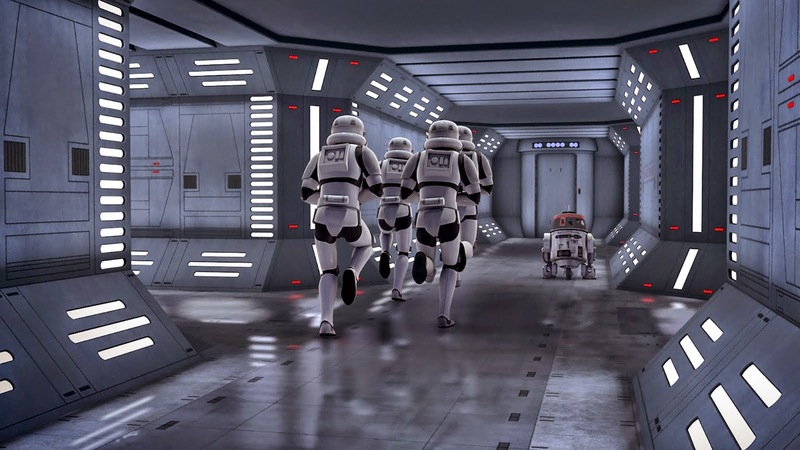 Either way I can't wait to see her again, she was one of the highlights of the Clone Wars. Same here Grant, I couldn't stand her, she was kinda like Anakin's little annoying sister, but she matured and also moved up to two lightsabers, which in my books is when she became a badass. Alex, I remember that episode, that was a good one.